THE reopening of Latoon Bridge has provided a timely boost for the latest phase of the Clarecastle street improvement project, according to local Fine Gael TD Joe Carey who says that the work will be of enormous benefit for the village and the local community. Along with a major enhancement of the village streetscape, the €1 million reconstruction project that will enable the bridge carry maximum vehicle weights, will provide a major impetus for local businesses to create and sustain employment. 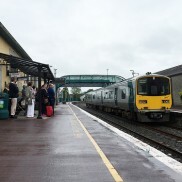 Deputy Carey believes that the regeneration project, which he had Clare County Council draw up in 2007, and the improved economic outlook could facilitate a range new investment opportunities in Clarecastle. 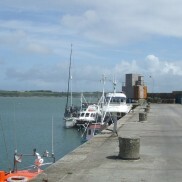 Referring to the enormous potential that exists for the development of a recreational marina in the village, Deputy Carey said that this was a project that could benefit from the Government’s 2040 fund for the development of new tourism infrastructure and it was an initiative that he was anxious to support. The latest phase of the Town and Village Renewal Scheme involves electricity and phone lines being put underground; the replacement of lighting columns; the provision of additional lighting for public spaces; the redesign of traffic dominated spaces; upgrading footpaths and crossings, as well as planting and painting throughout the village. Deputy Carey said that the work being undertaken by the Clarecastle Community Development group included the enhancement of public space based on the 2007 Action Plan for Streetscape Rejuvenation. “Significant work went into delivering the €200,000 funding awarded under two successive rounds of the Town & Village Renewal Scheme from the Department of Rural and Community Development. Huge credit must go to Clarecastle Community Development Ltd, Clarecastle Tidy Towns, Clare County Council and local councillor Paul Murphy. “I was delighted to be in a position to support the enthusiasm and enterprise of such a dedicated group of individuals whose work will have long-term benefit for the local community”. Deputy Carey has also given his full support to an application for funding under the outdoor recreational scheme that will facilitate a major facelift to the People’s Park. The allocation of €73,000 from the Sports Capital Programme for the provision of female dressing rooms at Clarecastle GAA grounds is the latest in a series of grants to help develop sports and recreation facilities in the Clarecastle area. 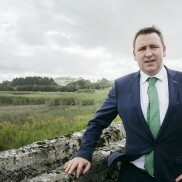 As chairman of the Oireachtas Committee on Rural and Community Development, he said he was delighted that the Clarecastle renewal project was helped by the fact that almost €1 million of the €21 million national fund distributed by the Department of Rural and Community Development at the end of last year went to projects in Clare. “We are also rolling out a range of other initiatives, including the REDZ scheme, the recently reopened CLÁR scheme and the Outdoor Recreation Scheme. In addition, work on the Action Plan for Rural Development is progressing well,” he added.